There are many reasons why one may be experiencing imbalances in their skin, but these 10 tips for healthy, clear skin are ones that we can all benefit from! Our skin is our largest organ and it can tell us a whole lot about the state of our body. Many of us go to great lengths to try and achieve clear skin, understandably, because we all want to glow and look and feel good! But oftentimes these quests focus on finding the best new lotion or cleanser or exfoliator and fail to address what often contributes to our skin troubles: the state of our internal health. When it comes to our skin there isn’t one singular remedy, just like there are a number of factors that influence our skin in the first place. Instead, it’s wise to consider the various things that can collectively improve the health of our skin (and whole body) and that’s what this post is all about! Gut health is perhaps one of the most important factors for improving the health and appearance of our skin, among nearly every thing else in our body. It’s a lot trickier to achieve clear skin if we don’t have a healthy gut. 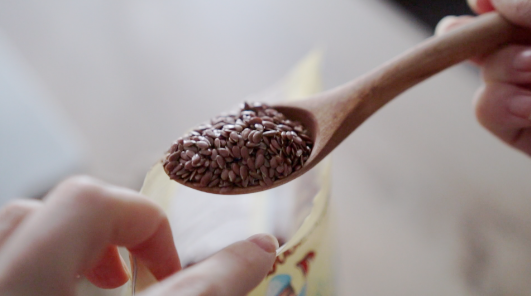 One of the biggest culprits when it comes to skin issues is food sensitivities. Eating foods we’re sensitive to increases inflammation by causing gut irritation and can exacerbate conditions like intestinal permeability (leaky gut). Many people find that simply eliminating their unique food triggers reduces acne, redness and overall skin irritation. Hooray for that! I notice a direct correlation between my food triggers and more frequent breakouts. 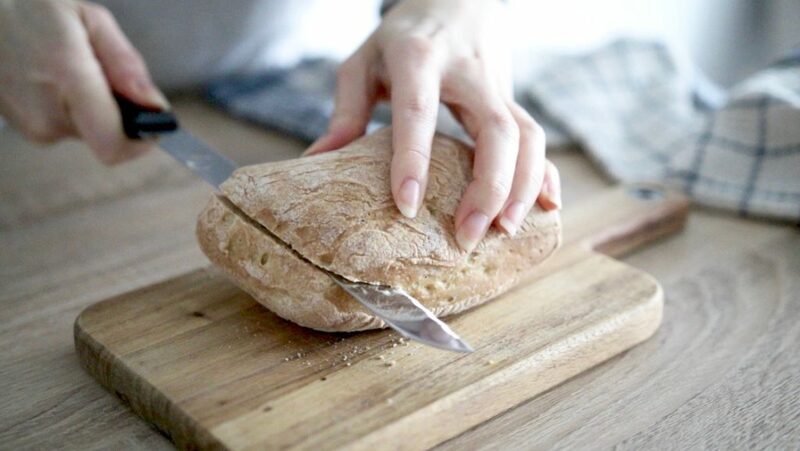 Foods I tend to avoid for digestive reasons are beans, dairy and an excess of high FODMAP foods, but too many grains — even gluten-free — tend to irritate my skin even though I often digest those okay. It’s all about finding your unique balance! If you’re struggling with acne or other skin issues, try avoiding one thing at a time (such as dairy or wheat) for 2-4 weeks and assess how you feel. Be sure to speak to your healthcare provider if you have any questions about food sensitivities or if you want to pursue testing. There are many other important steps for supporting gut health. Watch my video on Digestion 101 or read my blog post here to get a better understanding. High glycemic foods are foods that spike our blood sugar easily. Too many of them and too many sugary foods in general creates insulin spikes which can throw off hormones, cause blood sugar irregularities and feed the bad bacteria in our gut. This promotes inflammation and leads to things like acne or other imbalances. If you’re dealing with some skin issues, try reducing these types of foods. And if you need some extra support on reducing sugar intake, check out my blog post on 5 Effective Ways to Eat Less Sugar. Many skin conditions such as acne, rosacea, eczema or psoriasis are inflammatory conditions. This means, well, there’s inflammation present in and we need to address it! I know this is an obvious one, but it’s up there with being the most important tip I can share. If anything, I hope this point will serve as a simple reminder for you to eat plenty of whole, fresh foods each and every day. This ensures we obtain plenty of gut-friendly fibre, antioxidant pigments from colourful fruits and vegetables, and a variety of vitamins and minerals such as Vitamin A and zinc that play vital roles in the health of our skin (and whole body). Vitamin C is another important skin-loving vitamin as it’s one of the building blocks of collagen. Think citrus, strawberries, spinach, squash and cruciferous veggies. Drinking enough water and staying hydrated is critical for not only clear skin, but digestion, cellular integrity, and the assimilation of nutrients. Many people are dehydrated without even quite realizing it. 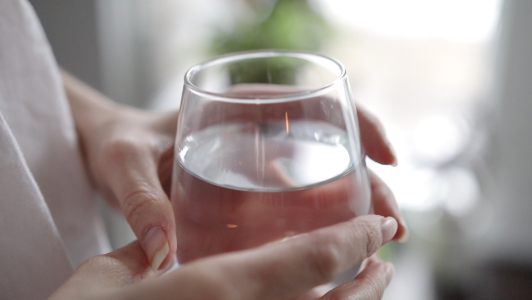 Dry skin, constipation, and low energy levels can all be signs of simply needing to drink a big glass of water! After sleeping through the night, our bodies naturally desire hydration upon waking. I recommend starting your day with a glass of cool, filtered water. Sean and I have this Brita pitcher for those of you wondering what we use. If you’re not used to drinking water before anything else, you’ll soon discover just how good your body and skin feels by doing so! When we get proper restful sleep, our cells and tissues have a chance to regenerate and heal. Inflammation levels are reduced, our liver gets to work on processing and filtering toxic waste, and stress hormones like cortisol are decreased, another important factor for healthy skin. It’s easy to think that because stress is so common, it’s not a big deal. But in reality, it is! Stress is related to nearly all illnesses and when it comes to our skin, it’s that inflammation factor we ought to be wary of again: chronically high levels of cortisol promotes inflammation throughout our body and doesn’t make for very happy skin. Exercise not only reduces stress, but improves our circulation, increases oxygen to our cells, helps remove toxic waste via sweating, promotes digestive function and improves mood! Find an activity that you love. I enjoy simple forms of exercise such as walking, and I took up ballet last year! For inspiration on finding exercise that you love, watch my video on How to Love Exercise. 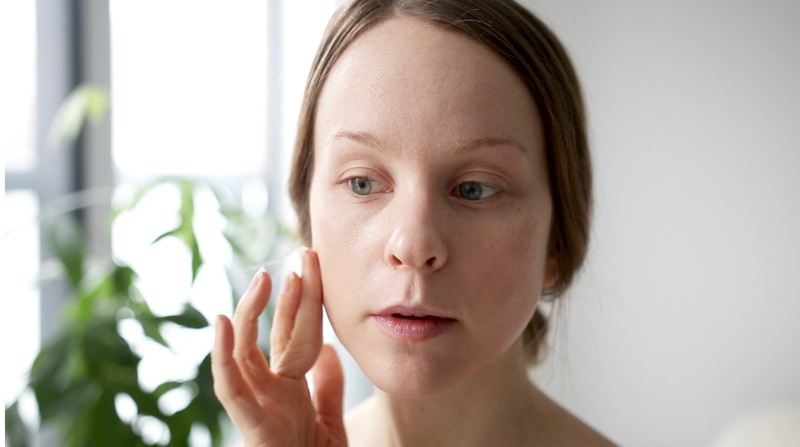 Many of us have a handful of products that we use morning and night to scrub and polish and tone and moisturize – but these can be more irritating than we’d think. Many products are full of alcohols, fragrances, colourants, foaming agents and other strange things that can aggravate our skin. I noticed improvements in my skin after I stopped using products that were really drying for my skin. As someone who already has dryer skin, it was important that I opted for products that were more gentle and moisturizing. The point is to find what works for your skin, and not overdo it!You can check out my skincare routine here. What’s one thing that’s helped you with your skin? Yeah absolutely! I notice it too with pro-inflammatory foods.